I chose to start off Brit Week with the Cadbury Curly Wurly bar. Mostly because the wrapper was bright and shiny, and I like bright and shiny things. (Oooh silver swirls, wheeeee...) Besides, having a name that sounds like an amusement park ride run by possibly sinister carnies just waiting to squat in your house (sorry, too much Simpsons) is pretty irresistible. The shape was unusual. 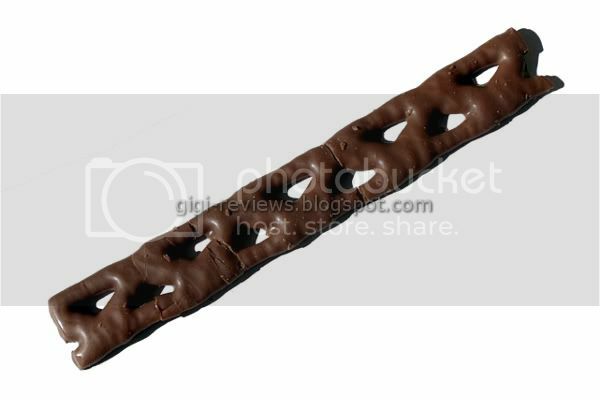 The Curly Wurly is an incredibly long, flat and thin bar, which made it more interesting to me. 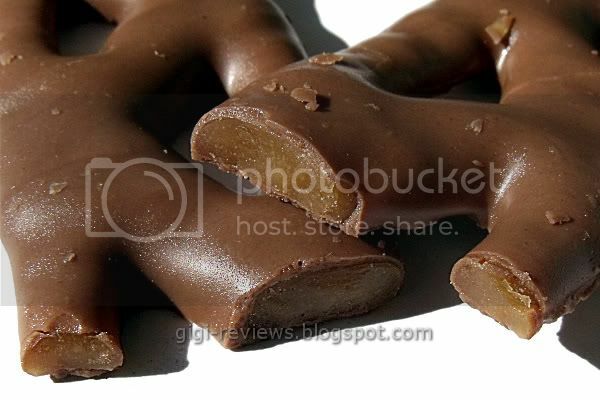 The caramel is done in a latticed design that is then enrobed in chocolate. My bar was broken, but let's remember that it traveled from the U.K. to Georgia in the U.S., and then from Georgia to California...so all things considered, it survived reasonably well. The milk chocolate coating seemed sweeter than typical American milk chocolate. The chocolate does have that general "milkiness" that Cadbury chocolate is known for. To me the milk flavor is less like real milk and more like powdered milk. It has a smooth texture and melts nicely in your mouth (and on your fingers). Honestly, the chocolate was merely a forgettable prelude to the caramel, as far as I was concerned. What I really liked about this bar was indeed the caramel. It was thick and solid -- but in a chewy way that yielded easily to being bitten. It's buttery but not overly sweet. There's sort of a wheaty taste that reminded me of Goetze's Bulls-Eyes. But melt was a lot better than Goetze's. I liked that the caramel wasn't too sweet, and that it had barely any graininess to it. But what made it so addicting for me was the chew. It starts to melt the moment its in your mouth, but not so quickly that there isn't a slightly sticky chew. It's just a great texture. I really liked this bar. 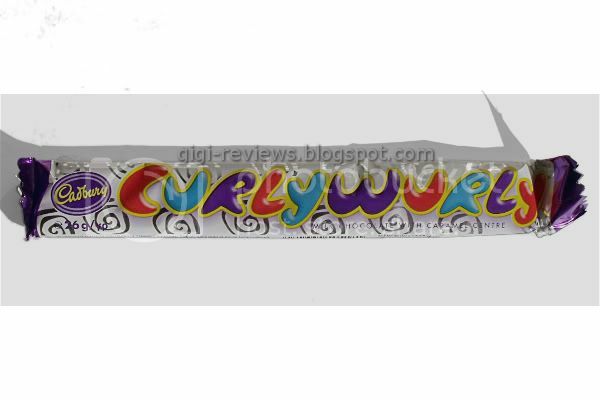 Believe it or not, Jim has never reviewed this bar -- but he did review a smaller version called Curly Wurly Squirlies. Labels: Cadbury, Candy, Caramel, Chocolate, Imported, Imported Candy, Milk Chocolate, U.K.
Great to see Brit week get started with a real British classic. I can't believe I have never read it myself - it is one of those things that I over time just assumed I had done years ago. I am glad you enjoyed it - the chocolate could be far thicker but that is being fussy. This is seen by many as the perfect 'cheap' chocolate option ... it is about half the price of a normal Cadbury Dairy Milk bar!! That looks exactly like an old-style Marathon bar! 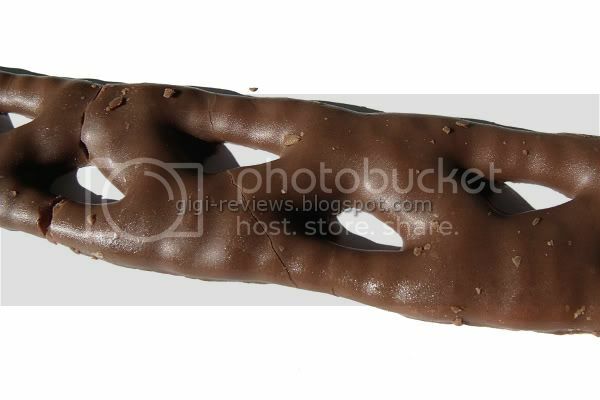 Yup: http://www.oldtimecandy.com/curly-wurly.htm confirms it. It's a Marathon. They used to sell those in the US.